The Portland Trail Blazers join a long list of Western teams to easily beat the Miami Heat, coming away with a 99-83 win, led by LaMarcus Aldridge on a less than efficient night from Damian Lillard, with his late game heroics not necessary. Struggling in the first half, the Blazers clamped down on defense in the third quarter to run away with the game, outscoring Miami 33-16 in those 12 minutes. 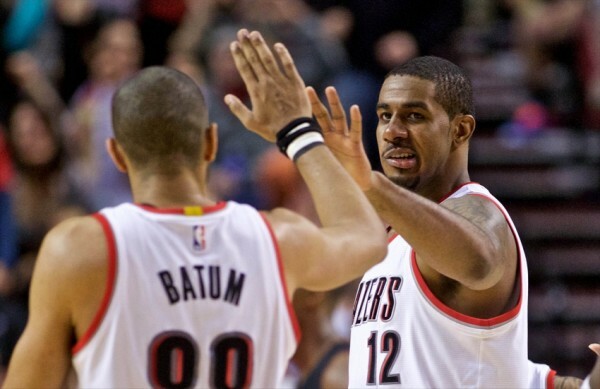 Aldridge finished the game with 24 points and 12 rebounds, followed by the hot hand of Wesley Matthews scoring 18 and Damian Lillard needing 17 shots to reach 16 points. 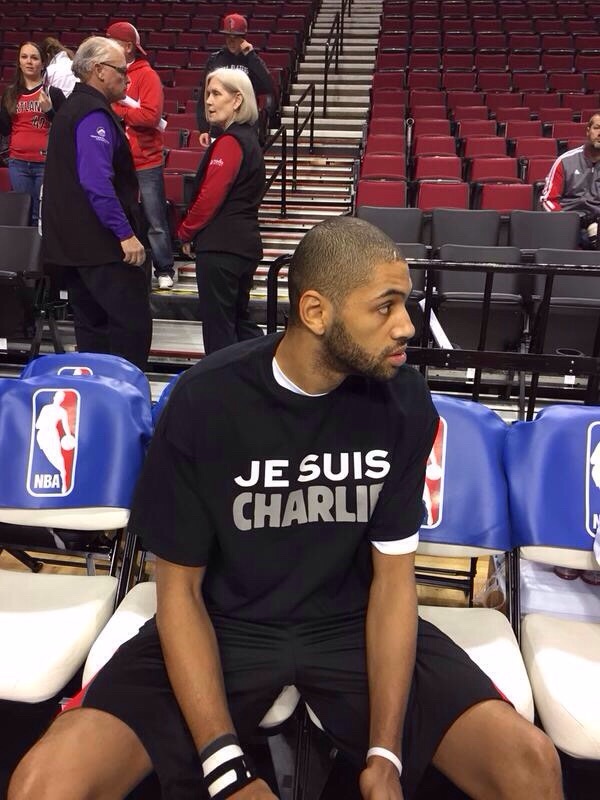 Nicolas Batum got attention not for his offense, but for his shirt before the game with the writing “Je Suis Charlie” on it. Miami had Chris Bosh with 18 points (but only 5-of-16 from the field) and Dwyane Wade with 23 points. Against other opponents it might be enough, but the Heat are 15-21, almost out of the top 8 in the East for a reason. From 2003 to 2012, more or less, the combination of Wade and Bosh on any team, even without the best of supporting casts, is more than a formidable opponent. These days, it turns out it’s not enough to have a winning record. Things aren’t lifting off for the Miami Heat, despite the return of Chris Bosh. Their bench brings them almost nothing on most nights, and the injury to Josh McRoberts took away something who was very vital to their plans – a stretch four who is also a very good passer. Rebounding continues to be a huge issue for them even with Chris Andersen, who is clearly showing his age, in the lineup. Shooting 37.7% from the field didn’t help them at all. But that’s life against the Portland Trail Blazers this season – no longer a team that’s all about streaky shooting by Lillard and Matthews or a solid day of shooting from the corner by LaMarcus Aldridge. There’s a plan, there’s defense, there’s even a more or less competent bench unit, inconsistent as it may be at times. The Blazers are second in the West but this isn’t like last year when their incredible start caught everyone off guard and soon turned into something of a meltdown due to fatigue and shots not dropping anymore. There’s something more systematic and fundamental to their success this season, which makes them a bit more likely to do more than they did last season in the playoffs, even if we are more than three months away from that.